Let me ask you a question, what is one most important decisions one will make when choosing to carry a handgun? The holster of course. Now let me ask you another question, which holster is ideal for concealed carry? It is a very complicated question that should be well thought out and decided long before you strap a gun to your hip. There are multiple concealed carry variations, so there are plenty of options to chose. Today, we will answer these questions and then take a look at some of the best concealed carry holster on the market. The right to carry a firearm is not a new concept. Since the advent of gunpowder, humankind has used guns in some capacity. When you hear the term warrior, you probably think of a samurai with their katana swords, well, believe it or not, samurai only used their swords once they ran out of ammunition. That’s right even some of the noblest feudal warriors used firearms. The equivalent of the modern day warrior are your veterans, law enforcement, military personnel, and the regular average joe who takes the time to sweat in training instead of bleeding in the fight. Choosing to carry a concealed weapon is a responsibility to be a well trained, highly educated, honorable person. The Second Amendment has a profound and rich history, and more Americans are choosing to exercise their right to carry a weapon. Having the best gear is standard amongst the firearm community, equipment such as optics, magazines, ammunition, and yes, holsters. If you are reading this and have no idea what I’m talking about, a holster is a retention device built to hold a handgun, which can be drawn reflexively when needed. Holsters are affixed to the waist or thigh of a shooter, but concealed carry holsters advantages are best utilized when hidden. The act of carrying a concealed weapon was once considered to be an act for criminals and scoundrels, but the rise of the modern warfare and espionage, carrying a concealed weapon is now a standard part of everyday life. Holsters are designed to draw the handgun with one hand while providing adequate protection against movement of the weapon and personal protection. Take a second to consider the role you’ll be wearing the holster, which gun works best for the situation, and which concealed carry holster works best for the first two factors. Next, think about being able to return the weapon to its holster once it’s no longer needed. If you are carrying a concealed weapon, you don’t have to worry about quickly reholstering your gun, just be aware that many holsters that are worn inside a waistband or in a pocket will collapse once the weapon is drawn. Thankfully we’re past the days of those horrible nylon belt holsters or those chunky Kydex holsters. Due to consumer design, the design of the modern holster offers much better integral support, better quality building materials, and a much more significant weapon selection. If deep concealment restraints do not limit you, there are also some excellent OWB holsters that offer excellent retention but can easily be covered up with a jacket or overshirt. It’s a pretty cool time to be a handgun enthusiast, plenty of choices offer higher chances that more people will be willing to carry a weapon, which if you’ve ever used a horrible holster, you may decide to give concealed carry altogether. The key is to find the most comfortable, secure, low profile holster that works best for you. In the list below, we will talk about several of the more popular concealed carry options as well as a few things to consider. Be sure to keep the model of handgun you’ll be carrying in mind; most model holsters have holsters for various pistols so don’t panic if the picture doesn’t match, I say that because I have done it. Now for the list. Bellyband Holsters are wide neoprene, leather, or elastic bands with built-in holsters that carriers strap across their stomach. Bellybands are best worn in casual settings when you’ll be wearing a shirt untucked, such as while you’re out running, hiking, or other circumstances when you aren’t able to wear a proper gun belt. There are several belly holster positions to choose from, the most common being belt line, or slightly higher rides that conceal the weapon better. I know of some modes that go as high as the armpit but consider the circumstances of drawing your gun under stress; you’ll want that weapon to be as accessible as possible. If you choose a belly band holster, consider the fact the band needs to be strapped to the body as tight as possible, that it may be slightly uncomfortable for some users, but if you don’t mind wearing a girdle, then you won’t have any problems! One belly band holster I’ve used in the past that’s managed to stay true is the Kaylle Belly Band holster. 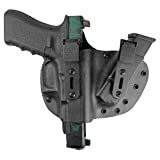 The left or right handed weapon holster is universal so that you can carry anything from a two to four-inch barrel with a simple retention snap. It comfortably stretches to a 45” circumference, and it accommodates man or woman, tall or short shooters. Also, this belly band is well ventilated, anti-sweat wicking, and comfortable so it won’t be like taking off a sauna suit once you can remove it. Inside the waistband holsters are precisely that, a concealment holster you wear in between your hip and your waistband, secured to the body with a stiff, sturdy gun belt. IWB holsters are ideal for carrying a weapon that won’t profile when you’re moving around in public places. I have seen people who strap an IWB on their hip with little to no regards for concealment. You can make out the silhouette of the weapon, compromising the carriers element of surprise, which is a huge tactical disadvantage in the early stages of a gunfight. This process is called printing, and it’s one you need to be aware of when selecting a holster. There are several options for compact and subcompact weapons, like the Glock 19/23 or the Glock 26/27, that allow the carrier to tuck their shirt over the holster and gun. 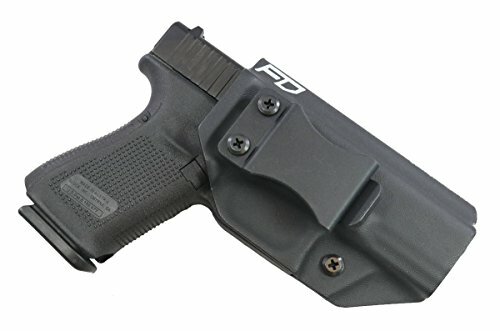 I’m a Glock guy, so I prefer the Glock 19 for concealed carry, I recommend the Fierce Defender Winter Warrior series IWB holster. I love this holster because it is tailored to the weapon and doesn’t collapse when you draw the gun. The cant can be adjusted up to 15 degrees depending on shooter preference. I have always been partial to Kydex holsters to leather, just ensure if you go the kydex route, choose a holster with a retaining lip over the belt loop, that way it doesn’t slide around and firmly secures the holster to the belt and weapon. It’s Appendix Inside the Waistband, or AIWB holsters are just like they sound, the weapon is holstered at the waist in front of your hip, generally on strong hand shooting side. The easiest way to describe this is looking down at where your button and zipper on your pants are, imagine the weapon holstered to the left or the right of your zipper depending on your shooting hand. The appendix holster allows the shooter to draw their weapons very quickly because the weapon hand is moving forward instead of having to pull from behind the hip. To draw from this type of holster, the shooter simply lifts the garment covering the holster with the support hand and drawing the weapon with the dominant shooting hand. 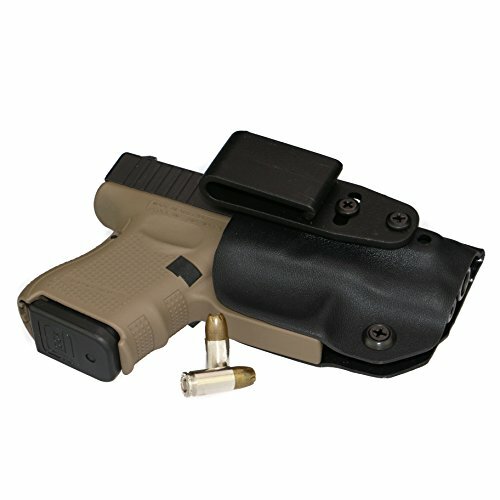 I am a sucker for all things tactical competition hybrid, and that’s exactly what the Do All Appendix Carry Holster is. Built to accommodate both compact and full sized handguns, as well as an integral additional magazine pouch, both are made with molded kydex and Cordura. The belt retension features a dual ulticlip on the holster and mag pouch. The holster would seem too bulky but it’s not, it’s ergonomically molded to fit the human body, and it’s very slim with a rear holster backing for rapid quick draws. The mag pouch is positioned with the best postion for speed reloads, it’s a simple grasp and smack into the gun. It’s a holster for aggressive speed shooters in mind. Ankle holsters were once tailored to police officers carrying secondary weapons, but they have become a popular option for concealed carry holders alike. I know several people who wear an ankle weapon with their primary hidden carry option as well. 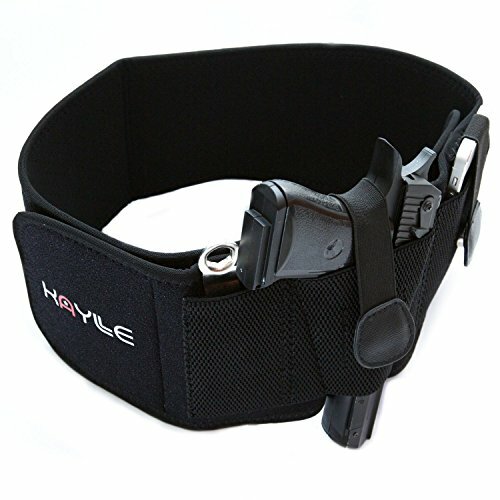 Ankle holsters are perfect for those who don’t want to make it visible that are carrying a firearm. 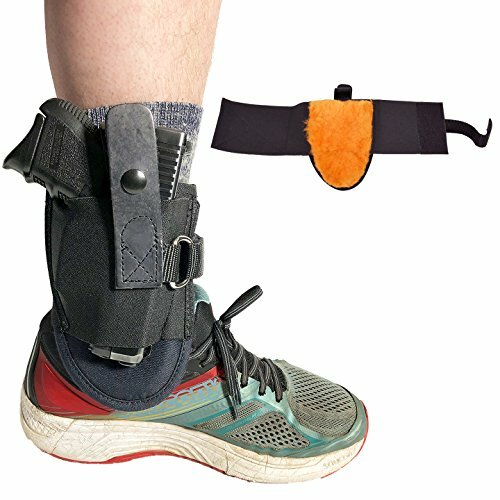 Ankle holsters are the ideal holsters for those who have to sit for extended periods of time when other holsters would dig into your body during long periods of sitting. Ankle holsters also keep the weight of your firearm around your ankle set of your hip, which if you’ve ever carried a weapon before you’ll know how uncomfortable this can be over time. Ankle holsters are also very easy to quick draw from when you’re not sitting, which gives the shooter a tactical advantage depending on the circumstances. I have only used an ankle holster on a few occasions because I feel like I’m too short to pull it off, but when I did wear one, I chose the Blue Stone Undercover ankle holster. I chose this model because of the D ring strap that firmly secures the holster to the ankle. I’m paranoid about dropping the weapon while running or in a fist fight so I usually pick the most secure holsters I can find. I kept a 9mm S&W Shield, and it covered up nicely and didn’t print underneath my pant leg. Don’t worry about ankle sizes; the backstrap is fully adjustable to accommodate all weapon sizes. Outside the waist holsters, also known as hip holsters, are more common with law enforcement and military personnel. If you live in an area where weapon laws allow open carry, an OWB holster is a fantastic choice. OWB holsters aren’t limited to open carry though, if you are set on this carry method, just wear an over shirt or jacket to cover your weapon. A solid hip holster with a reliable gun belt offers some of the best weapon retention if you wound up in hand to hand combat, which is a genuine possibility when you accept the responsibility of carrying a weapon. Outside the waistband holsters are affixed high and close to the body with a slight cant in front of or behind your hipbone. I usually keep this carry option slightly in front of my hip because it’s a quicker, more natural movement to fast draw in front of your hip than it is behind, granted this is shooter preference but food for thought. An outside the waistband is very simple, just slide the holster over your belt and ensure the loops are secured to your belt, that’s it. I know some OWB have retention devices you have to disengage to draw the weapon, but that’s not the case with the Bravo Concealment OWB Holster. 0.8 thick Kydex is durable yet extremely slim, the forward cant and contoured frame allow for much greater concealment. Plus it comes with a lifetime factory warranty, so you don’t have to be paranoid every time you ding the holster up. The next concealed carry method on our list is the classic cross draw holster. A cross draw holster is a holster that’s carried on the opposite side of the body as the dominant hand, so the shooter has to reach across his torso to draw the weapon. Cross draw holsters are very similar to a shoulder holster because of the cross draw required draw your gun across your body, but in this instance, the holster is mounted at the hip. Cross roll holster is excellent for a concealed carry holder who would find themselves seated in volatile situations, such as a truck driver or a wheelchair-bound sealed carry holder. 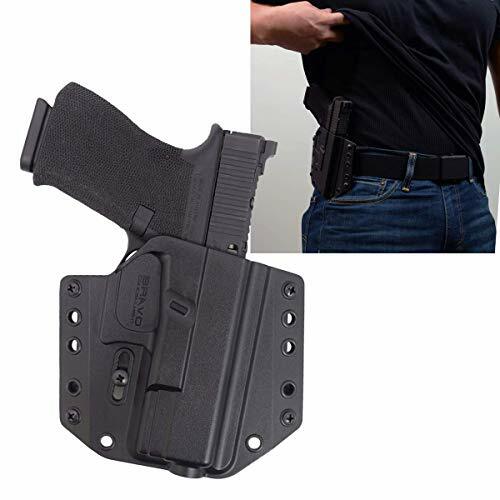 Cross draw holster is also ideal for people do you have sustained shoulder injuries that limit mobility, conventional outside the waistband holsters can be painful to draw if you’re concealing your weapon behind the hip. Regarding classic holsters, this is one of my favorites. I choose to carry cross draw holsters on long trips where I know I’ll be wearing a jacket. The Flaco Leather crossdraw holster is custom made directly from the producer, tailored for your exact pistol model. I had mine for a Glock 19, and it concealed perfectly. It comes with a five-year limited warranty so make sure you have any issues with your holster addressed within your first five years; holsters can bend and crack over time with heavy use so use the warranty if you need to. Just be sure to get used to the unorthodox draw with this holster. Pocket guns, in my opinion, are one of the most underutilized weapons to carry concealed. A pocket holster is very small, often kept in the weak side pocket opposite of the dominant hand. I learned this method when I was a police officer, for situations when my primary weapon was unaccessible. Pocket guns are excellent for weapon retention, say when a person is trying to grab your primary weapon, you can reach for your pocket gun and engage accordingly. Pocket holsters allow for the weapons to remain secure, upright, and comfortable but there are several drawbacks. Efficiently drawing from a pocket holster requires much more practice than a conventional outside or inside the waistband holster. The draw is considerably slower, so training is vital here, put yourself in uncomfortable positions or have someone simulate grabbing your dominant side waist and practice drawing an imaginary gun from your nondominant side pocket. 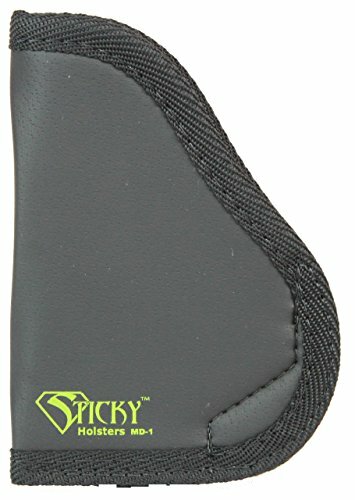 The Sticky Holster is one of the more unique holsters I’ve used; you put your weapon in the holster, body heat and pressure form a mold around your gun in your pocket. Just reach into your pocket and firmly pull the gun from the holster in your pocket, the pocket gun is always a last ditch weapon. It comes in small medium and large so you can carry anything from a subcompact .380 to the full framed 4” barrel. It’s a very neat concept that works well in the pocket gun category, but I wouldn’t rely on a full sized holster like this. 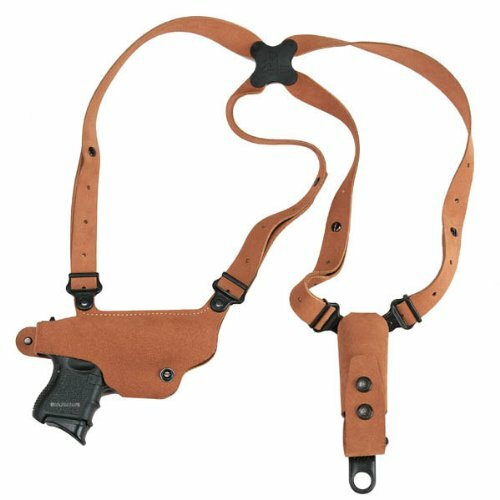 A shoulder holster is a holster with two straps that converge together in the middle of the concealed carriers back. 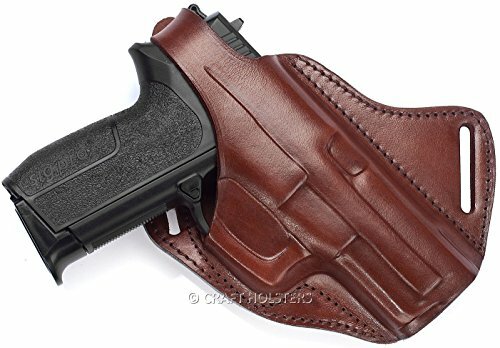 The holster is designed to be slung over the left or right side of the body, opposite of the shooting hand, secured to the gun belt with a snap button or strap. Shoulder holsters can be mounted in one of three ways, vertically with the barrel of the firearm pointed to the floor, a vertical holster with the barrel pointed upwards, generally with snub nosed revolvers and subcompact automatic. The most common shoulder holster is horizontal, which is when the barrel of the weapon points behind the shoulder. If concealment is a primary concern for the wearer, consider a shoulder rig that is cut high under the armpit, just ensure you’re carrying a weapon small enough to wear for extended periods of time and won’t limit your mobility. When I think of shoulder holsters, I want to be as low profile as possible, in other words, don’t try and hide a 1911 if you’re 5’6”. Select a weapon you can comfortably conceal, and that you won’t mind bearing down on your neck the entire time. The Galco Classic Lite is slim, can be worn high in the armpit, and has a spare magazine pouch. It’s a very covert rig to wear under a flannel or hoodie, and they’re durable so you won’t pull it apart like a cheap holster. Belts are selected based on attributes like style and fashion, but we are going to choose this belt based on functionality. As I’m sure you’re fully aware, a belt prevents your pants from falling down, but gun belts are designed to keep your pants up and to hold your weapon in place. 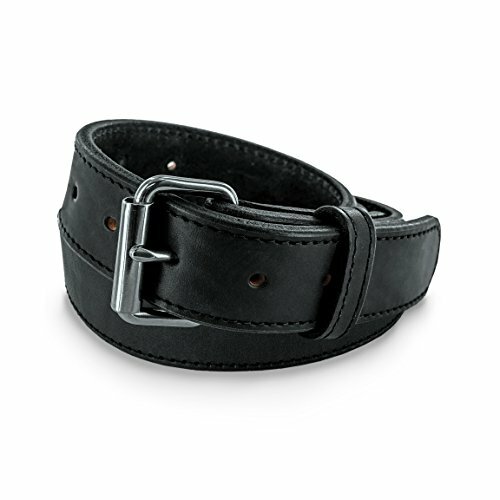 Your typical belt isn’t designed to handle the weight distribution of a firearm so you must select a dedicated concealed carry belt for your everyday carry. Hanks gunbelts are double stitched no break belts that are designed for the rugged use of carrying a weapon. 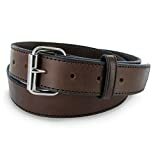 Over time, less durable belts will start to crack and rip, I’ve found that solid leather belts hold up the best over time, and the broader, the better. 1.5” is ideal for CCW usage, If you go with a thinner belt, you’ll notice it will begin to droop and sag over time around the mag pouch and the holster. Hanks leather gunbelts also come with a 100-year warranty, so you’re covered for life. It also comes with a removable buckle so you can swap out the buckles with ease with the Chicago screws instead of weaker metal snaps. I hope you learned a lot about concealed carrying a weapon and the best holsters in doing so. as you can see there a wide variety of firearms and holsters you can have it your disposal, all you must do is find the one that works best for you. As always, thank you for reading happy shooting!